Agitprop for the election campaign in Vienna. 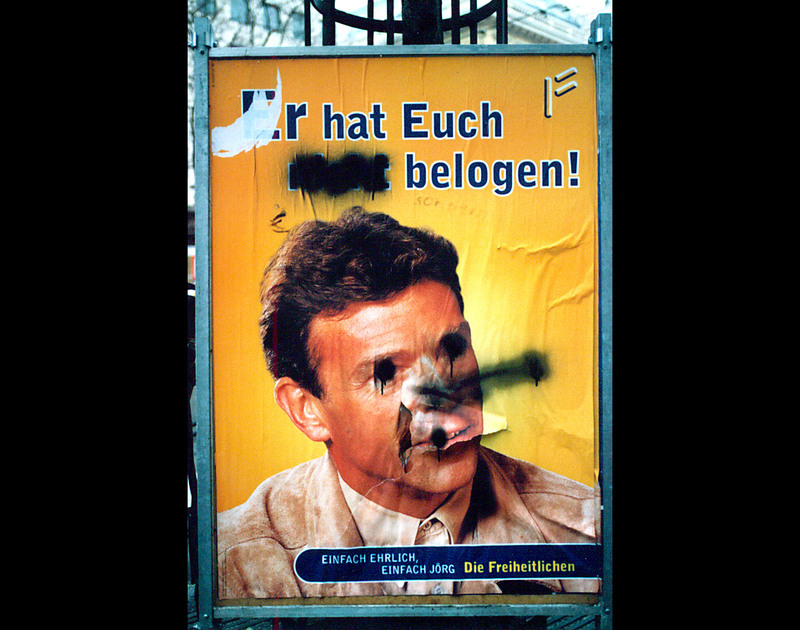 Every day, posters depicting the right-wing politician from the Freedom Party of Austria, Jörg Haider, receive a new Pinocchio nose. A clash of images on the streets.